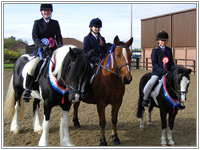 Lots of qualifiers from the National Riding Schools Qualifier. Let's get some work done and bring home the trophies from the Championships later this year! Hunky Dory our super school pony who competed at HOYS last October, winning his SEIB Search for a Star Working Pony Class and then Reserve Champion in the final. See gallery for some great pics of our STAR! Come along to our first (of many) shows of the year. April 6th 2014. Come along and support the MNDA in Cleveland. Dressage competition runs on October 6th. This competition runs in memory of Ann Smith a keen horsewoman and dressage enthusiast, and an extremely kind and caring friend. Ann sadly lost her life to Motor Neurone Disease last year. All monies raised will stay in the Cleveland area to assist those affected by MND. Come along and support the MNDA in Cleveland. 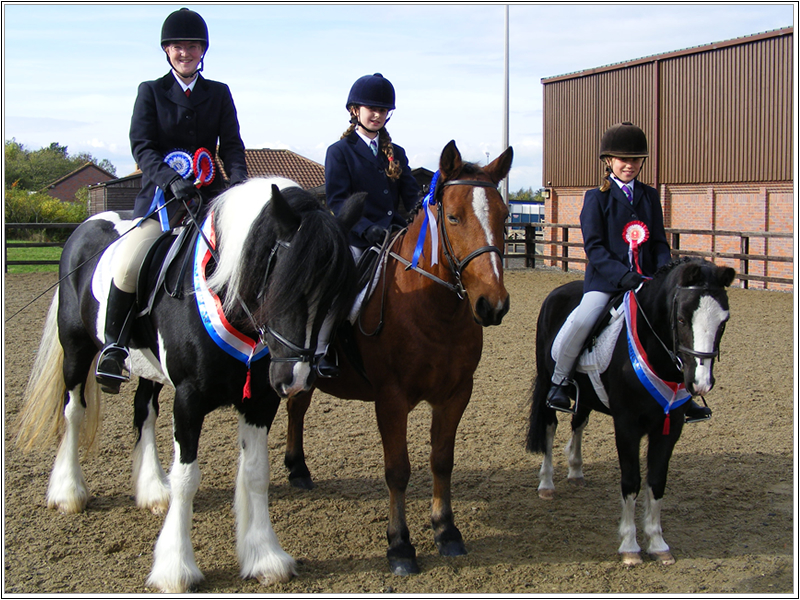 Dressage competition runs on November 11th. This competition runs in memory of Ann Smith a keen horsewoman and dressage enthusiast, and an extremely kind and caring friend. Ann sadly lost her life to Motor Neurone Disease earlier this year. All monies raised will stay in the Cleveland area to assist those affected by MND. 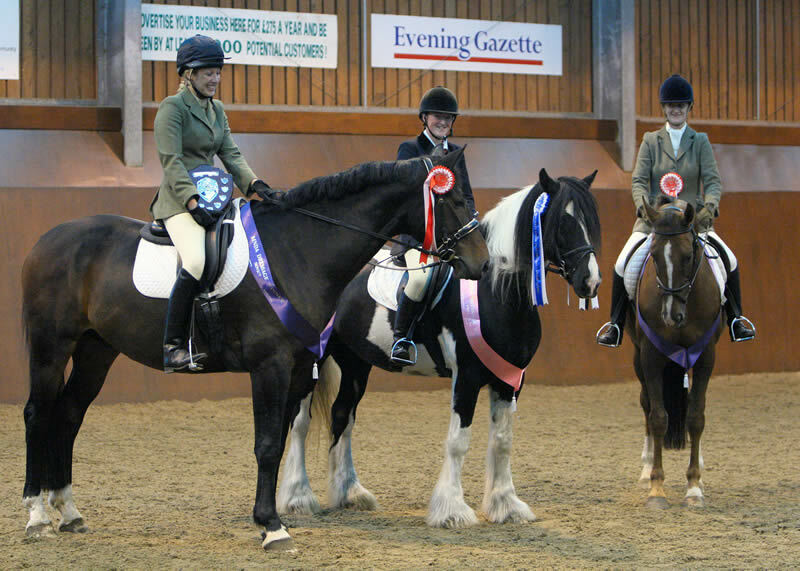 National Success for Stokesley Riding for the Disabled Group, the smallest group in the Yorkshire and Cleveland Region has returned from the RDA National Championships with an array of rosettes, medals and trophies. 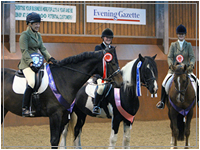 The Championships were held at Hartpury College in Gloucester Fr1 13th to Sun 15th July. On Saturday 14th July Hannah Askew age 10 years from Nothallerton rode Jack this was her first time at the Championships and in her Dressage Test took 1st place, Countryside Challenge 2nd place, Combined Training 1st place and Best Turned Out 4th place. Charlotte Thackray age 8 years also rode Jack on her debut at the competition taking 3rd place in her Dressage Test and Countryside Challenge, and 1st place in the Combined Training and 5th in Best Turned Out. She also had the support of her sister Bethany as groom for the weekend in the qualifying competition for this they took 1st and 2nd place but only 1st place qualified for the Nationals. Kayla Pratt age 11 years rode Sasha and was 6th in her dressage out of 35 riders she took 1st place in Best Turned Out. Andrew Rycroft age 11 rode Marble on his first time at the Nationals and was 8th in his Dressage out of 35 riders. Eleanor Storry age 18 riding her own horse Just Rupert was 3rd in Dressage and 2nd in Freestyle and took 3rd place Best Turned Out. 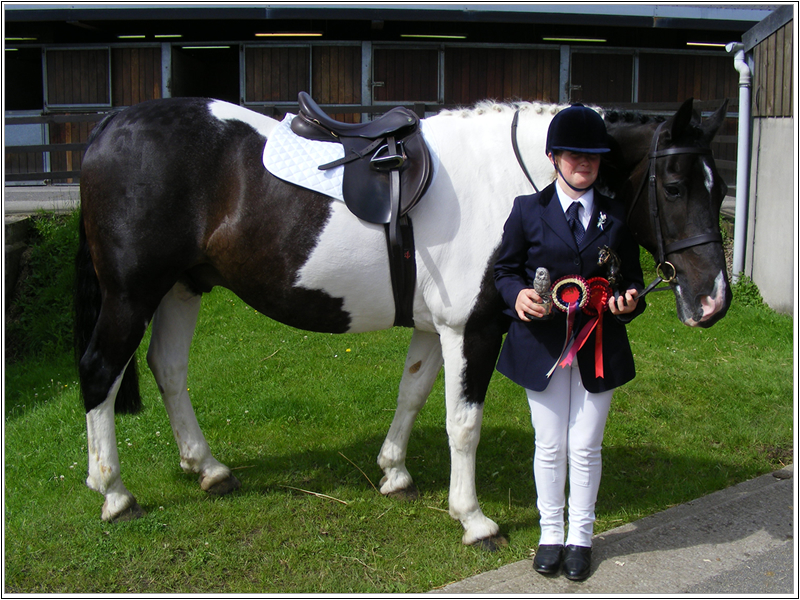 Sunday 15th July Heidi Marsden age 13yrs from Kildale, rode Rockingham a new horse for her and his first time at the National Championships, this year Heidi was competing in the walk, trot canter section. 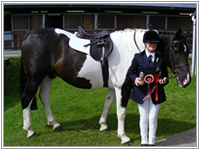 She took first place in her Dressage and was Overall Winner – highest score out of all juniors and seniors in the class. She also took first place in the freestyle and was 4th in Best Turned Out. Faye Beckham age 19yrs also rode Rockingham and was 1st in her Dressage, 3rd in Freestyle and 2nd Best Turned Out. Daniel Rycroft 8yrs was taking part for the first time at the Nationals and riding Jack took 1st place in Dressage and was Overall Winner was 2nd in Countryside Challenge and 1st in Combined Training then took a 3rd place in Best Turned Out. Phoebe Whitfield age 13yrs on her debut at the Nationals was 6th in Best Turned Out, unfortunately her mount Sasha went lame and had to be changed at the last moment for dressage she went ahead with her test and rode very well although the pony was not as responsive as her usual mount. Katie Johnson 13yrs riding Ben was 1st in Dressage and 3rd in Countryside Challenge and 1st in Combined Training. The group had fantastic support from family and friends and fundraised along with Robinson’s Equi Teach to ensure they could participate at the National Championships, a big thank you to all leaders, side walkers and grooms for a very enjoyable weekend. Today we moved from Potto to Tunstall where we now have use of an Indoor School and can offer a livery service to those that need it. We are all tired but we are glad to be here. This competition day now in its third year runs in memory of Ann Smith a keen horsewoman and dressage enthusiast, and an extremely kind and caring friend. Ann sadly lost her life to Motor Neurone Disease earlier this year. Lead rein: Amelia Bullock and Dinky. All monies raised from this event will stay in the local area as MNDA Cleveland supported our dear friends Ann and Eddie Smith. We will continue to run this day as an annual event and hope to receive as much help towards a successful day in the future. At the end of a Summer Season of Dressage- our very own Equi Teach Champions were also able to come away with the spoils from the Unicorn Centre. Well done guys and come on the rest of you let's clean up completely next year! !